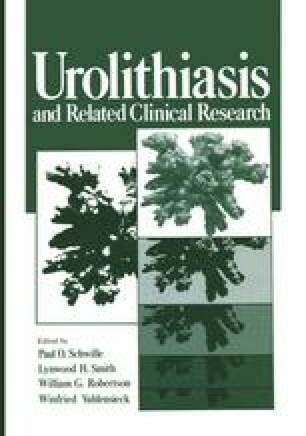 The occurrence of drugs in urinary stones is a rare finding. Apart from Ettinger’s studies on triamterene1, the only other papers are confined to individual, isolated cases. When a stone is present, the contribution of drugs to nucleation or growth should always be considered.